In sports news that doesn’t involve Eminem trolling Brent Musburger or the NFL’s opening week, Tokyo was awarded the 2020 Summer Olympics over the weekend, after a atypically peaceful IOC vote in Buenos Aires. Cursed with extended Groundhog Day-esque fallout, we’ve now got seven years to look forward to of articles questioning whether it's safe to hold the games so close to the site of the Fukushima nuclear reactor meltdown. But as Kotaku pointed out, manga and anime fans already knew this day would come—ever since 30 years ago, when Akira imagined a future Neo-Tokyo during the months leading up to the 2020 Olympics. A British architectural firm will design the new national stadium that forms the centerpiece of the games in Tokyo, which will now be the focus of all underground cryogenics lab and secret military base jokes. 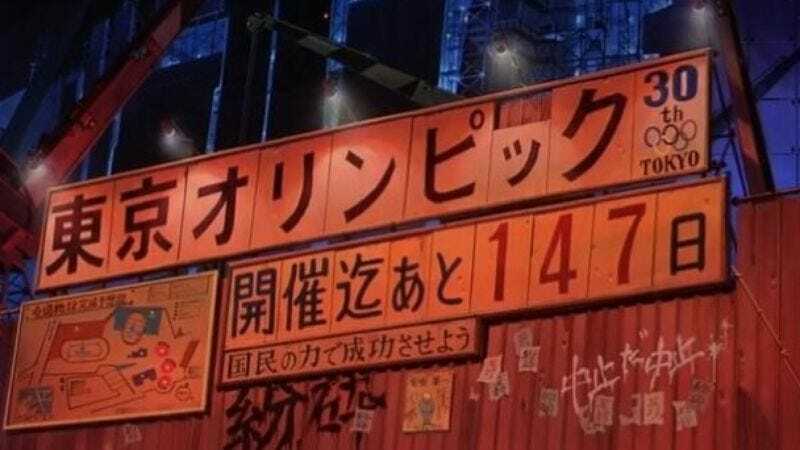 It’s nothing more than an eerie coincidence, but one that will hopefully inspire some bootleg Akira-related Olympics merchandise leading up to the games.